Wild Earth Travel is coming to a city near you to host an evening set to inspire travellers about the unique itineraries from three of our leading polar operators Heritage Expeditions, Polar Latitude and Adventure Canada. Our partners are flying in from all over the world to give their insights on the regions, Antarctica and the Arctic. Family owned from small beginnings Heritage Expeditions aims to showcase the most natural and remote destinations on the Spirit of Enderby, where guests become 'ambassadors' of conservation efforts. Through expeditions to Antarctica, the Subantarctic, the Pacific Islands and Russia Far East travel with (maximum) 50 like-minded travellers learn as much as possible about the region from wildlife experts. Longtime experts in polar travel, Polar Latitudes is a company that involve the best guides, naturalists and expedition crew members to deliver you an unforgettable expedition experience. Whether you're encountering the Antarctic by the deck of the small cruise ship, kayak, zodiac or camping along the shore- they do it all! 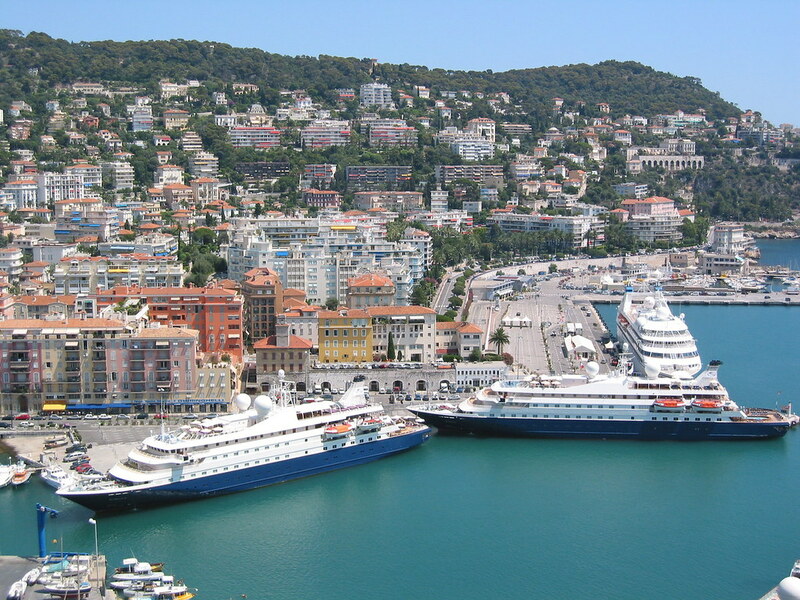 While both ships, Hiberidean Sky& Island Sky boast levels of comfort similar to a fine boutique hotel. Operated and family owned for over thirty years, Adventure Canada encompass itineraries that are full with fun and wonder, as well as including experiences that offer that all important cultural exchange. Travel within a small group and enjoy Adventure Canada's legendary, informal shipboard programmes and feel like you're truly one of the team as you learn from their speciality flown in expedition leaders. Interested to talk to our experts? Come along to our information evening and bring your questions! There will be an opportunity pre/post the event to talk one-on-one to these industry leaders as well as door prizes and exclusive specials on offer to event attendees. (Venue and details TBA). Wild Earth Travel - the small ship cruising specialists. View our 2018 Small Ship brochure today! With so many new and hi-tech expedition vessels coming online in the next few years, there is naturally a lot of hype around each one. Revolutionary propulsion systems, radical hull designs and ultra clean and green energy and waste systems are all touted as the next greatest innovation since sliced bread. 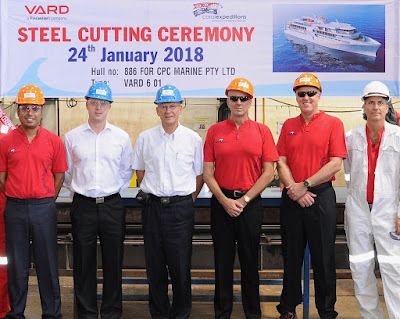 So let’s fact check a few of these claims and the one catching my attention right now is the first passenger-specific icebreaker ever ordered, the 150m 30,000GT Ponant icebreaker. 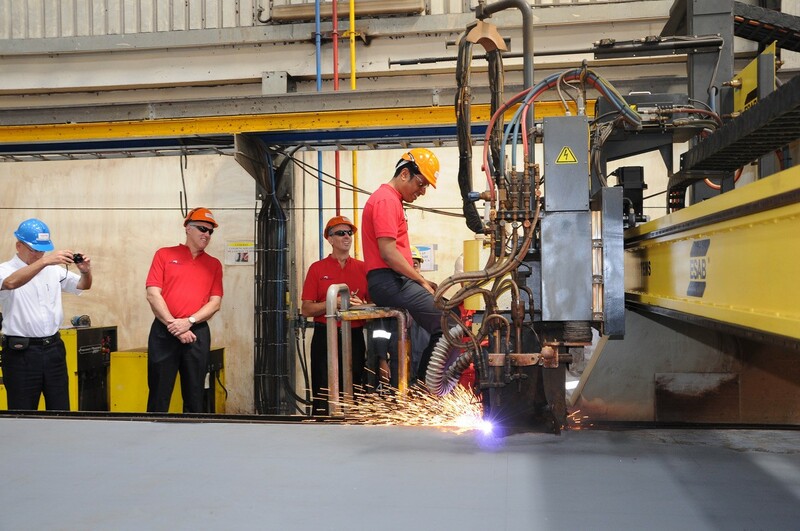 The hull is being built right now at Vard Tulcea in Romania. We all know of the hybrid cars now driving around from manufacturers like Lexus and Toyota. These cars use a combination of conventional petrol engine drive and switchable Lithium Ion electric drive either alone or in combination. Petrol engines can be smaller and more economical because they are supplemented by electric power from batteries charged using surplus kinetic energy like when the car is coasting or under brakes. The principle used aboard hybrid ships is not a great deal different. 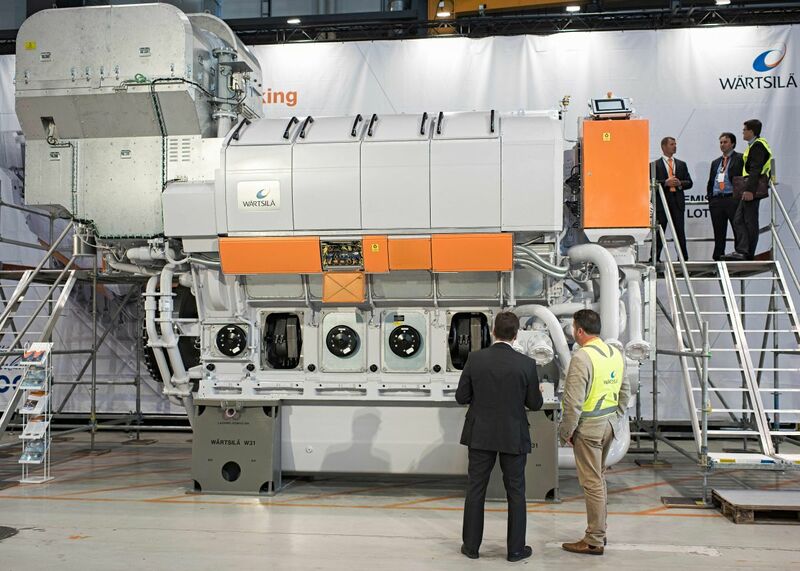 There are generators, huge battery banks, electrically-driven propellers, Liquid Natural Gas (LNG) tanks and conventional diesel engines as well. 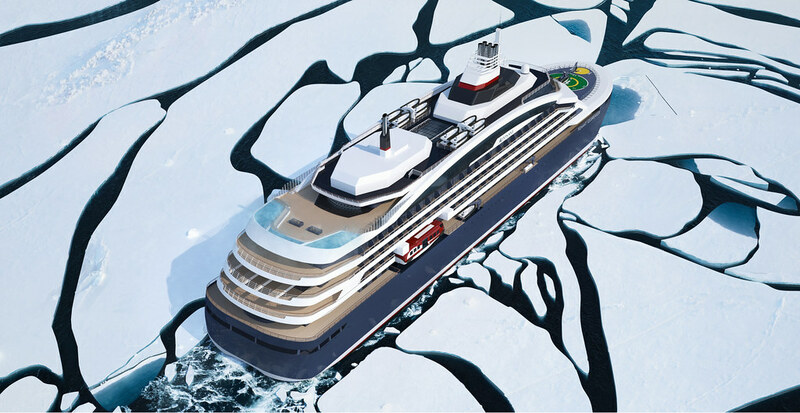 Norwegian line, Hurtigruten, will beat Ponant to the punch by launching the first-ever hybrid powered cruise ships. But while these will be regular Polar Class (PC) 6 vessels, Ponant’s icebreaker will be to PC2, PC1 being the strongest. Different ship designs use hybrid technology in slightly different ways, but for the sake of this example, the propulsion on Ponant is purely electric with propellers like massive underwater fans attached to Azimuth Pods (or ‘Azipods’) which contain the huge electric motors and can swivel around through 360 degrees. Other expedition ships like Scenic's much-vaunted Eclipse (also PC6) will also use Azipods, but not with a hybrid propulsions systems. 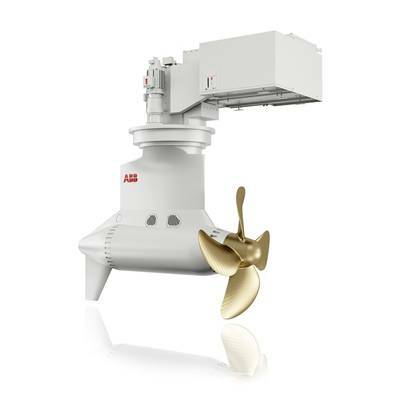 contains the electric motor for driving the fixed-pitch propellers. The diesel engines inside the hull are necessary to drive the generators to create the electric power for the propellers, and much like a dual-fuel car which can drive by either conventional gasoline or Liquid Petroleum Gas (LPG), these massive diesel engines can run on either light marine diesel (MDO) or LNG. So, is this hybrid propulsion all the Ponant spin doctors make it out to be? Quite possibly. It will depend on which is the primary fuel source (MDO or LNG) and for what duration either fuel is used. Either way, it is an enormous technological leap from the massive former-Soviet nuclear-powered icebreakers Yamal and 50 Years of Victory currently taking guests to the North Pole. And supplement-free offer for solos. 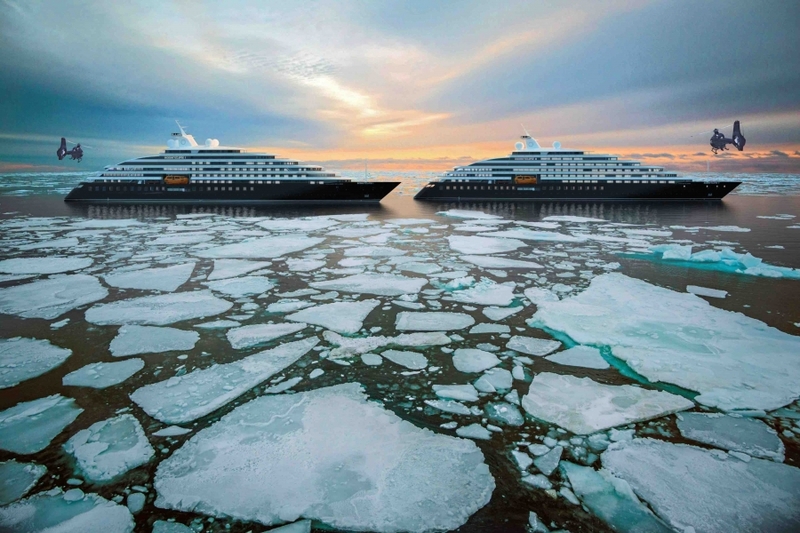 One of the world’s most famous sea routes—the legendary Northwest Passage in the Canadian Arctic—can be explored on a just-released, 17-day expedition voyage in 2019 offered by eco-cruise company Adventure Canada. To mark the release of the cruise, which features icebergs, polar bears, walruses, fjords, Inuit communities, and artefacts of former explorers, Australia’s Cruise Traveller is offering a free night’s accommodation both before and after the voyage, available until sold out. 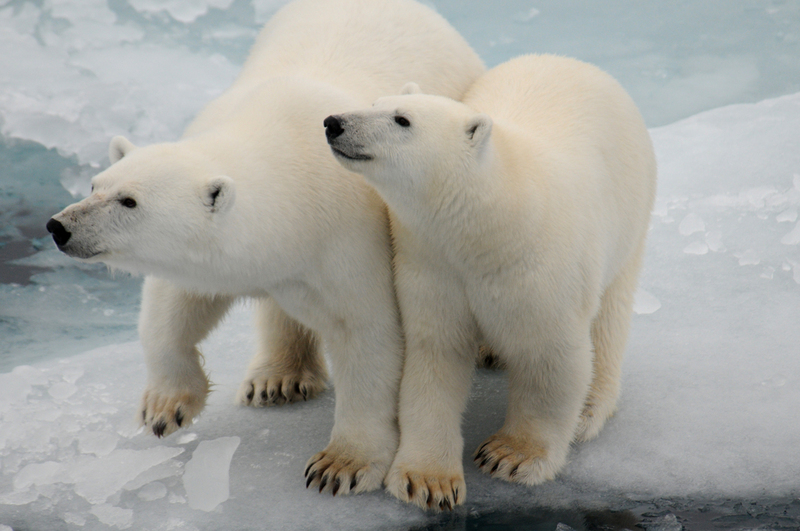 The Northwest Passage is a historic route through Arctic waterways, linking the Atlantic and Pacific Oceans. Many 19th century European explorers tried to traverse the passage as a possible trade route to Asia, often with journeys ending in disaster. Today, the Northwest Passage is accessible by ice-strengthened expedition ships—but the icy waters still retain their mystic charm. 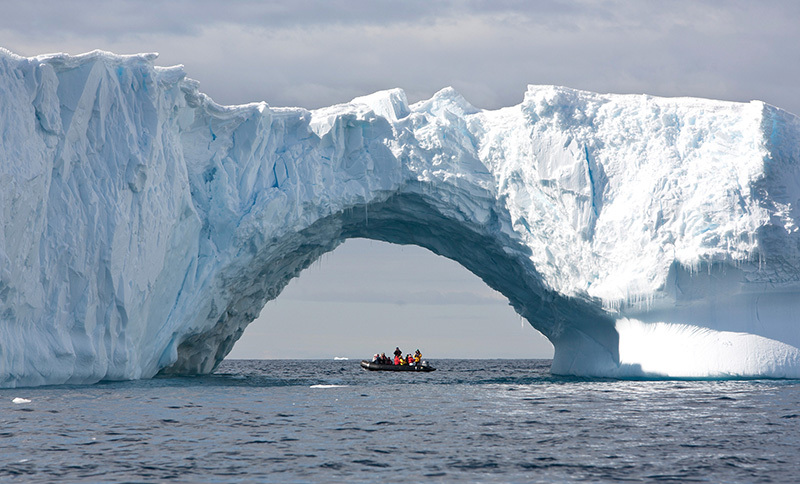 Departing August 17, 2019, Adventure Canada’s cruise on the 198-passenger Ocean Endeavour will begin in Greenland, with its quaint villages, dramatic fjords, and glaciers, before crossing the Davis Strait to the iceberg-filled waters of Nunavut, Canada’s northernmost territory. The voyage will follow the Northwest Passage from Baffin Island to as far as Kugluktuk near Coronation Gulf, with reindeer, polar bears, walrus, and muskoxen part of the scenery. An onboard archaeologist will perform onsite interpretations at ancient sites of the Thule and Dorset people, and there will be opportunities to experience the local Inuit culture first-hand. Cruise Traveller is offering Australians an extra two nights’ hotel stay for free - one night in Toronto before the cruise and one night in Calgary afterwards. The cruise costs from US$14,855 per person, twin-share, including charter flights to and from the ship. Normally US$16,190, save US$1335 per person when you book by June 1, 2018. And for a limited time, and subject to availability at time of booking, singles pay no single supplement on selected categories. (Singles from US$16,190 category 3). Flights from Australia are additional. Call 1800 507 777 or visit www.cruisetraveller.com.au . Since its birth as a family-owned expedition cruise line in 1987, Adventure Canada has operated cruises to the Canadian Arctic, Greenland, Labrador, and Newfoundland, with Iceland, Scotland, the Faroe Islands, and the remote corners of Ireland being added in 2018–19. Consumers, travel agents—and their clients—in Sydney, Brisbane and Gold Coast are invited to attend one of seven information sessions with MJ Swan, Adventure Canada Expedition Leader and Business Development Director. Coral Expeditions, Australia's pioneering cruise line, has released a new brochure for their 2019 Kimberley and Cape York & Arnhem Land sailings with the inclusion of their latest fleet addition, the Coral Adventurer. The new look brochure, with fresh photography and layout, introduces the company's Expedition Leaders and Guest Lecturers and includes detailed descriptions of Coral Expedition's inimitable 'Expedition Experience'. Local interaction and cultural exchange are the anchors of Coral Expedition's itineraries and one of the great benefits of small ship cruising. This will be the first time the company's newbuild and fourth vessel, the Coral Adventurer, will cruise the remote and ancient areas of Northern Australia, showcasing its expedition capabilities and bringing guests to some of the most pristine regions of the country inaccessible to larger vessels. 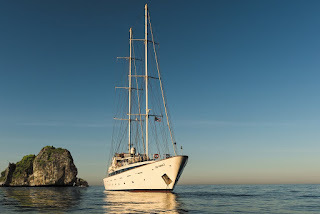 Raising the bar for coastal expedition cruising, the state-of-the-art small ship, holding 120 passengers, is backed by over 35 years of knowledge and passion for expedition cruising and is built with the latest shipbuilding technology. 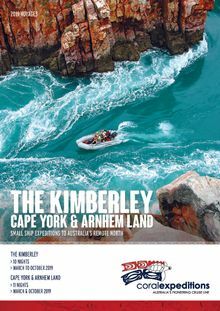 The 2019 Kimberley season will mark 23 years of expedition cruising in this region, having pioneered the Kimberley region since 1996. For the past 10 years, Coral Expeditions have operated two ships for an extended six-month season in the Kimberley, taking over 25,000 guests through the region. As Australian flagged ships, Coral Expeditions has a unique advantage in that their ships can operate within the Kimberley without any restrictions and know this region better than most. Leading daily expeditions on their unique Xplorer tender and Zodiac vessels, guests are guided through these untamed regions by known experts that includes specialised guest lecturers with deep knowledge and expertise of geology, history and ecology. The expedition team is supported by highly-skilled staff who offer a superb service and great onboard atmosphere. This combination of marine expertise and interpretive content make Coral Expeditions the pre-eminent operator in both regions. The Cape York & Arnhem Land itineraries incorporate Coral Expeditions signature Great Barrier Reef experiences, established over 35 years ago. Remaining true to their small ship expedition origins, Coral Expeditions will continue to offer the choice between the classic Coral Expeditions 1, holding just 44 passengers, and the recently refurbished Coral Discoverer which caters for 72 passengers, in addition to the custom-built Coral Adventurer. The three expedition ships have been specifically built with Australian coastal cruising in mind and are ideal to safely navigate the mighty rivers and scenic inlets of the Kimberley and Arnhem Land. The 10 and 11-night itineraries depart between March to October 2019. Cape York sailings depart from Cairns on 17 March and 14 April 2019 and from Darwin on 4 & 18 October 2019. 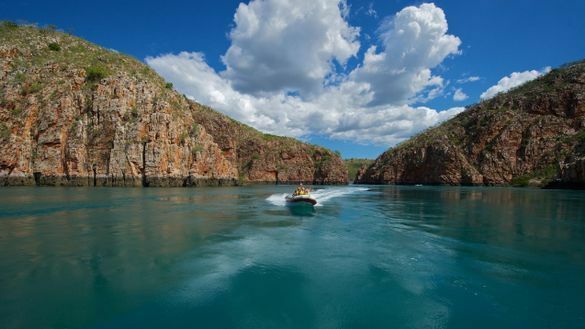 The Kimberley itineraries run between Darwin and Broome (v.v) on regular sailings from 29 March until 7 October. Prices start from $8,690 per person. To book or for more information, call 1800 079 545 or visit www.coralexpeditions.com. 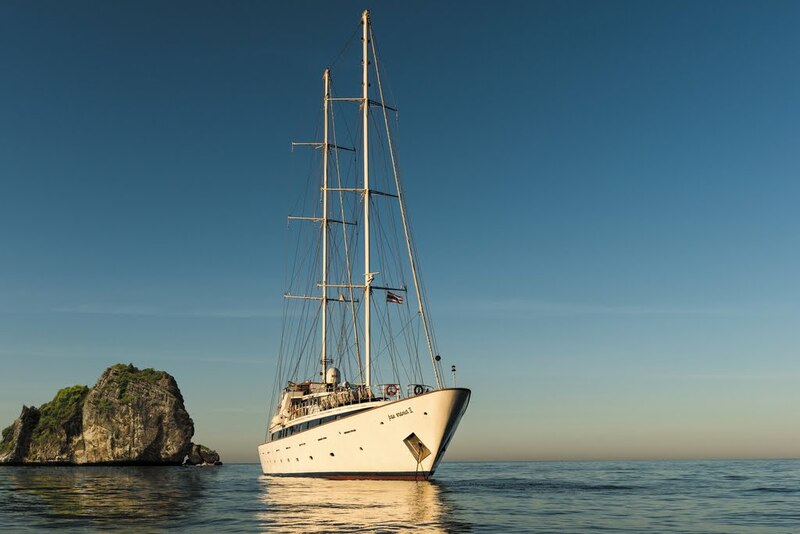 SEADREAM Yacht Club still has space on a sailing in May of this year that embraces a near-dozen ports both famous and quietly tucked away in the Mediterranean. They include Motril that's the stepping-off point to the ancient Moorish city of Granada in the Sierra Nevada Mountains, three of Spain's famed Balearic Islands, and legendary Saint-Tropez, Cannes and Nice on the French Riviera. And the chance to try out the local regional seafoods, pastries and wines and cheeses at restaurants and cafés in ports visited. There will also be a full day at sea to indulge SeaDream's own renowned dining and services poolside, at the Top of the Yacht Bar or in a quiet corner by yourselves. Prices for this unique sailing that's for an extended ten days rather than a week, start from US$6609pp twin share, including award-winning cuisine, premium drinks both with meals and at the no-charge bars, power and sail water-sports, use of the golf simulator and fitness centre, port charges and taxes, and even staff and crew gratuities. 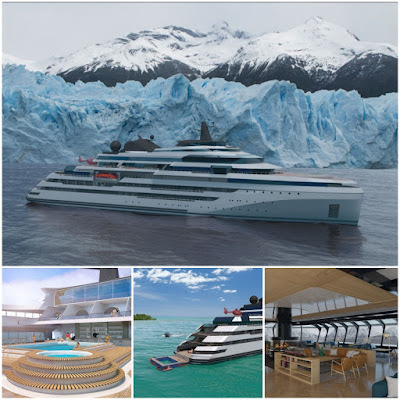 Contours Travel – the longest-running Latin American tour operator in Australia – has launched its first, hosted cruise tour to Patagonia and Antarctica, with two departures slated for next summer. 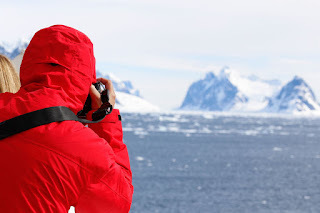 Luxury expedition cruise specialist Silversea has introduced its new My Photo Academy on sailings to Antarctica aboard Silver Cloud, utilising the ship's new Photo Studio as a hub for the multifaceted enrichment program. With a mesmerising landscape and amazing wildlife as the backdrop, guests will have the chance to elevate their photographic prowess by learning how to take and edit pictures like a professional whilst sailing on itineraries designed to maximise expedition time and provide opportunities for shooting great images. "Our new photography program is a perfect fit for the immersive expeditions we offer in Antarctica," said Conrad Combrink, Senior Vice President, Strategic Development Expeditions and Experiences. "Voyaging to the bottom of the Earth is a once-in-a-lifetime experience, full of magical moments which we will help our guests to capture in beautiful images they will be proud to display in their home or office." With both private and group lessons, guests can learn to master the art of digital photography through the Academy, which provides an array of specialty workshops for both beginners and professionals. Among the topics covered is an introduction to photography, social media, and the use of Adobe® Lightroom® and Photoshop® software tools to edit images to get just the right look. Unique to Silver Cloud, the Photo Studio -- designed and implemented in collaboration with Galardi Media Network, a Swiss company specialising in new technologies and multimedia -- is a vibrant space of creativity featuring state-of-the-art equipment for both MAC and PC users, including high-quality printers available for use on a fee basis for guests wishing to create postcards or take home frame-ready pictures, including panorama- and A2-size prints. A user-friendly, touch-screen interface makes it easy for guests to print their own photos. The intimate Silver Cloud accommodates just 200 guests in polar waters. A fleet of 16 Zodiacs provides unprecedented opportunities for up-close exploration, while 10 kayaks offer a truly personalised experience of nature in the polar realms. Twenty or more passionate and dedicated Expedition Team members are always at hand to share their considerable knowledge and insights. They give lectures in the multi-tiered Explorer Lounge, run workshops, lead Zodiac and kayak trips, and guide nature walks -- all of which is complimentary. 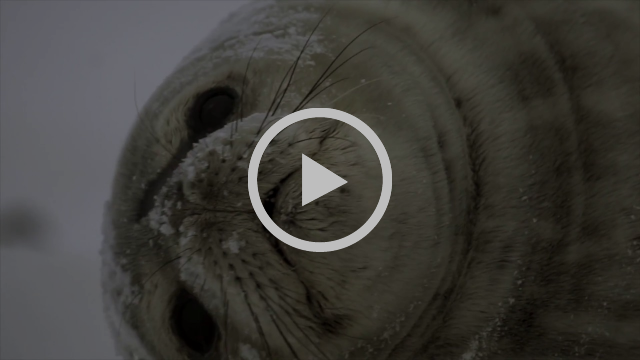 Expedition voyages to Antarctica are offered from November through February. Lindblad Expeditions-National Geographic has announced a remarkable program of voyages for 2019 that will venture into the Russian Arctic, one of the most rugged and wildlife-rich regions on the planet. The three itineraries will give a different glimpse into life in the remote Russian Far East & Bering Sea, where spectacular wildlife, an intriguing native culture, arresting mysteries, and world-class exploration history abound. The human element is one of the richest aspects of visiting the Arctic, and this region is no exception. Communities of Siberian Yup'ik people still follow traditional methods of hunting seals and whales, while the coastal Koryak and Chukchi people of Russia have developed into incredible reindeer herders living off the land – and are a part of why few travelers leave this place unchanged. Several of Lindblad's exemplary expedition team have spent time in the region, and were integral to the development of the expeditions. "I have visited the region since 2004 and immediately fell in love with its landscape, abundant wildlife, and charming people of many cultures. Over several years of travel there, the wildlife never became commonplace for me – it was spectacular every time, "stated Jen Martin, Director of Field Staff and Expedition Development. 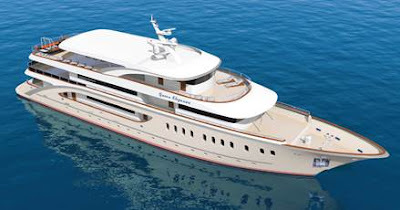 Australia's most awarded luxury cruise and tour operator, APT, will set sail in 2019 along the Adriatic Coast in the brand new Queen Eleganza. In partnership with Noble Caledonia, APT will be chartering the brand new Croatian made, yacht-style, Small Ship along the famed coastline. The Croatian flagged vessel sets sail on her maiden voyage with Noble Caledonia in the spring of 2018 before embarking on a full season with APT in 2019. Thanks to the small group of only 36 guests onboard, the Small Ship creates a relaxed, resort-style atmosphere, even allowing for a swim right off the back of the ship. With plenty of spaces to explore, guest can relax on the extensive sun decks, grab a drink at the bar or enjoy a leisurely brunch at the onboard restaurant, while the world floats by. Daytime sailing ensures guest capture the beauty of the coastline and allows for balmy evenings in town to experience Croatian hospitality and nightlife first hand. The brand new build paired with APT service is the number one way to experience Croatia in 2019. Learn more about the brand new ship and Croatian Cruising with APT call 1300 196 420. The thrill of the Arctic sea spray against the face, the tranquillity of Burgundy's sleepy canals and the bustle of the Mekong's floating markets - these are just a few experiences available to travellers for less as part of G Adventures' Marine sale. For those wanting to explore some of the world's most picturesque rivers, including the Mekong, the Ganges and Burgundy's Saône River, the sale offers up to 25 per cent OFF Riverboat tours when booked before February 28, 2018. Adventure-seekers can also save up to AUD $1250 on Norway and Arctic Expeditions, when booked before February 16, 2018. Adrian Piotto, Managing Director of G Adventures Australia & New Zealand believes the sale offers travellers the opportunity to snare a deal on some of the most unique and exhilarating adventures on offer. "Our Riverboat Adventures and tours on board G Expedition enable travellers to visit areas other tours can't always reach, getting closer to amazing wildlife, marine sites and local communities," comments Piotto. "Our smaller ships mean we can get all our Expedition travellers on land at each stop, and the size of all our vessels means our travellers get to know one another throughout their trip. This creates a real 'family-feel' on board which our travellers refer to time and time again after joining a Marine tour." Mekong River Encompassed – Ho Chi Minh City to Siem Reap, 10-days, Ho Chi Minh to Siem Reap, now priced from AUD $1949 on select departures between March 1 and August 31. India River Cruise – Ganges Experience, nine-days, Calcutta return, now priced from AUD $1724 on select departures between March 1 and August 31. Burgundy River Cruise Adventure – Northbound, eight days, Dijon return, now priced from AUD $2249 on select departures between March 1 and August 31. 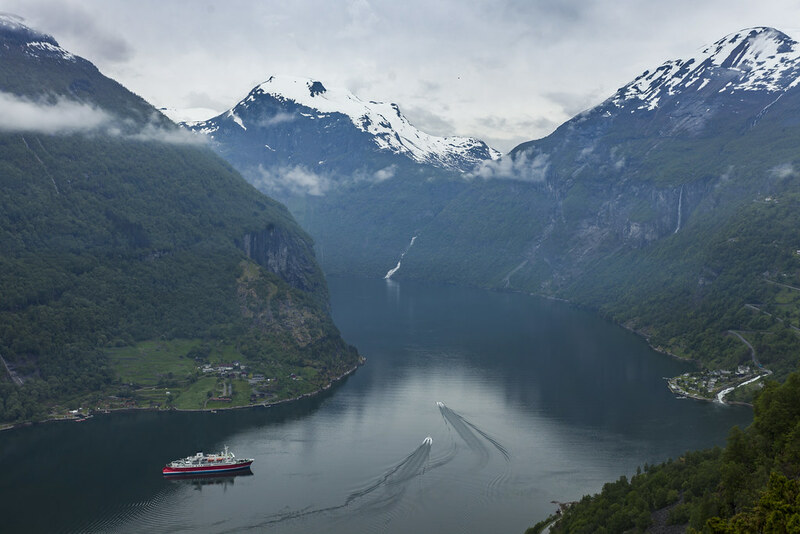 Scottish Islands & Norwegian Fjords – 14-day, Edinburgh to Tromsø, now priced at AUD $8249 (save $1250) on select departures between May 8 and August 11. Realm of the Polar Bear – Eight-day, return from Longyearbyen, now priced at AUD $6149 (save $1250) for select departures between May 8 and August 11.